After attending and covering a few charity events like AIDSAware Exhibition @ Mid Valley Garden and MACY's Celebrity Sofa Creations. It's my pleasure to be invited to another meaningful event which is gonna happen on 11th June. BERRYBOW, an online boutique specializing in fashion and accessories, is marking its debut with a bang by hosting a charity fashion party. Berrybow is hosting an exclusive Charity Fashion Launch Party debuting the new Bright & Bold Collection. 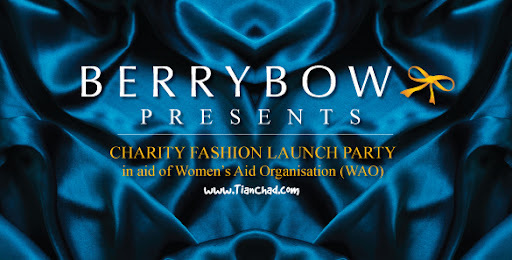 To make this event more meaningful, BERRYBOW pledged to donate 40% of the ticket sales for this Official Launch Party to Women's Aid Organisation [WAO] to help the less privileged women and children. Besides a fashion show, Berrybow principal Michelle Chong said there will also be performances by several Malaysian artistes. Violinist Dennis Lau, jazz singer Atilia, Vick Teo from Malaysian Idol 1 and Amanda Imani are scheduled to perform. The runway show will feature WAO members, Amber Chia and models from the Amber Chia Academy. Prices for the clothing range from RM60 to RM200 for tops, bottoms and dresses, RM200 to RM400 for items from the premium collection, and RM149 to RM399 for House of Harlow acccessories. Each Berry Bow piece comes in limited quantities with its own unique look and feel, designed to offer individuality, sophistication and elegance. Berry Bow assure you that their collection remains fresh and vibrant with an air of exclusivity, which makes Berry Bow the best kept secret in online fashion. The RM150 ticket includes a hi-tea and lucky draw offering a RM500 cash voucher for Berrybow products. Ticket purchase for Berrybow’s charity fashion launch party can be done online via ipay88 or bank transfer.